Opponents do not matter if you have studied them in detail. Knowing their work methods, strengths and weaknesses, you can predict their actions and overtake them. In this article we will explain how to evaluate a competitor’s website and what services will help you do that. How to find your main competitors? Enter queries in a search engine that a typical visitor would enter and remember that they usually only look at the first five results. Tip: show respect for your competitors. We have no doubt that your store is wonderful, but these guys are also valuable to the market. Do not immediately focus on the horrible design and the old-fashioned lay-out. So far, they are doing better than you: they are in the top of the search results and are making money. It is important to understand how they have achieved this. Rate your website competitor with a non-preconceived notion. Here is a list of questions. Write down the answers with the competitor analysis in mind. What does this online store do to attract visitors? Are their prices different from yours? How do the pictures of their products look? What type of descriptions do they use? Pay attention to the details. How do they organize deliveries? What is their return policy? What calls to action do they use? How can you do better? Is there a call to action to subscribe for the newsletter on the site? Is the website optimized for mobile devices? Are they on social media? How often do they post? In what way do they communicate with their followers? Do they have a blog? What is the style? What does the design of the website look like? What would you do better? Is their payment service convenient? What are the pros and cons? What are your strong points compared to your competitors (unique features, differences from competitors, etc.)? Make a trial purchase to experience the advantages and disadvantages of a competitive service. After your visual analysis, you should use existing tools for a thorough study and monitoring of your opponents. 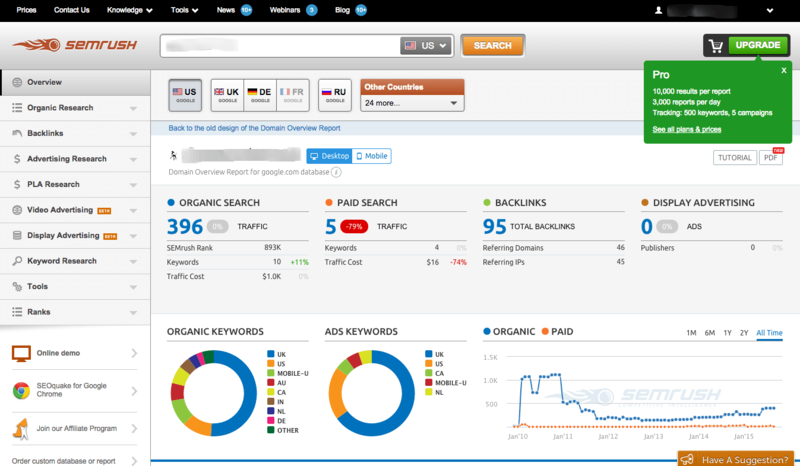 With SEMrush, you can type in the address of the site you are interested in and click Search. After a few minutes you will see information about the volume of incoming traffic and their position in search results of the main key words. 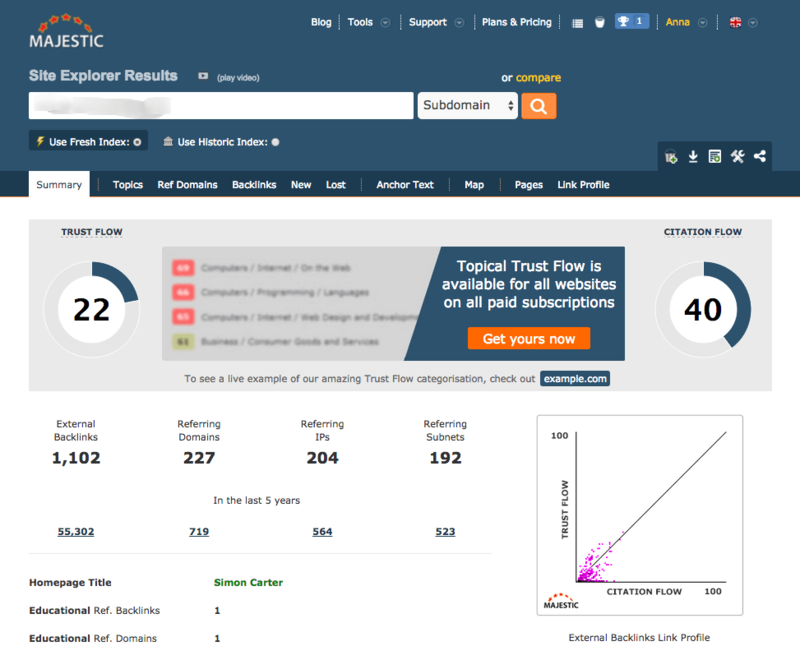 That allows you to know which areas your competitor focuses on. You can then decide whether you want to promote your website with the same key words or with different ones. This is a free service: you just have to sign up in order to use it. They also offer a paid service, starting from $69.95 per month, which provides you with more data. This tool allows you to see the amount of traffic your distributors get, the traffic distribution per country, your competitor’s sources and the audience’s interests. By showing you information about your competitor’s website, the service indicates what you should pay attention to in your own website. Bear in mind that all data come with an error rate, so it’s a good idea to compare the results with those of Google Analytics. The basic analysis is free. For $199 a month you can get advanced statistics. This service will provide you with technical information about your competitor’s website: which e-commerce software, advertising system and analytical services are used. The surface analysis of this tool is free. With a package of $295 a month, the tool allows you to check multiple websites and save the results. 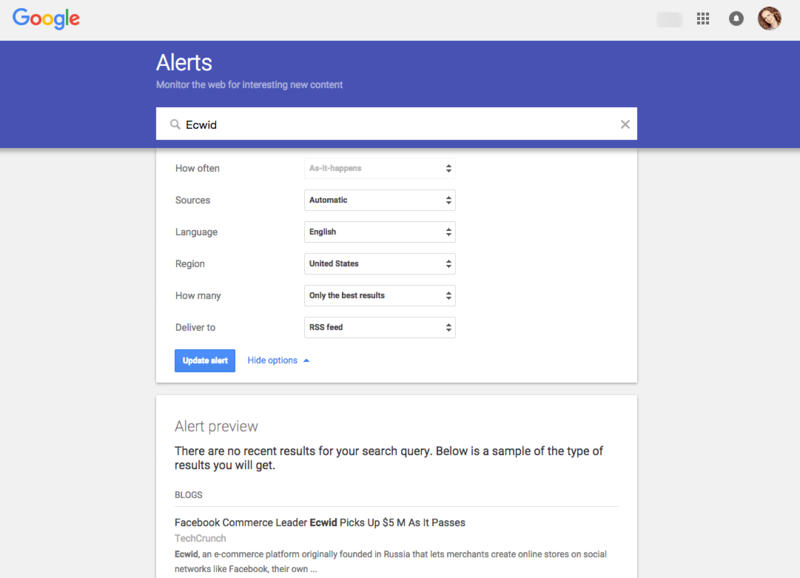 With Google Alerts you can set up alerts for the companies or brands that you are interested in. Regular emails allow you to find out where and in what context they were mentioned. It is a convenient service to search for reviews, so set it up for your store. 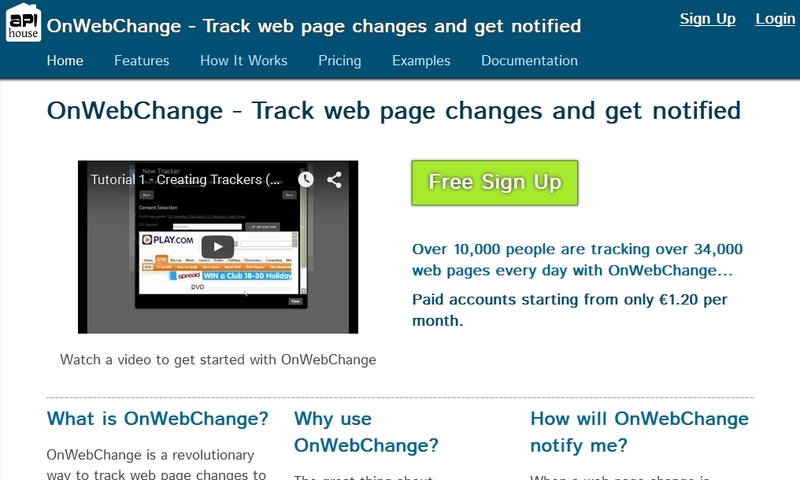 The service Onwebchange promptly informs you about the changes on your competitors’ websites. It monitors changes in prices or the stock level of products, provided this information is freely available. Make sure you don’t become obsessed by your competitors, constantly hovering over the reports and paying attention to only a few dangerous opponents. English-language service, the minimum price is €1 per month. This service provides information about the backlinks to your site. It is useful for those who are engaged in the search progress. 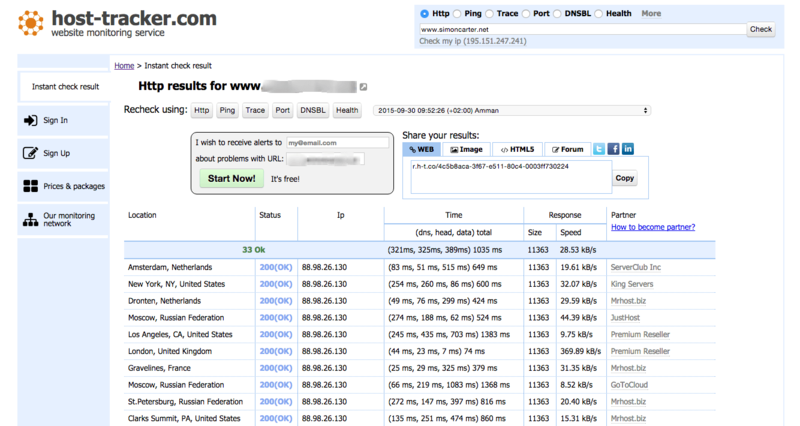 Sign up for free and browse statistics about the sources of incoming links for a domain that you own. To gather information about your competitors, you need to purchase a paid subscription of $78.99 per month. Good content helps to promote a website (find out how). 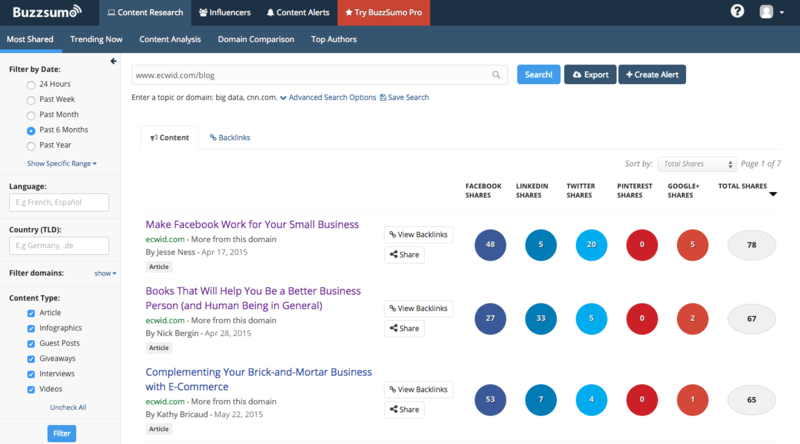 Use Buzzsumo to spy on what your competitors use to attract visitors. In the report you will see a ranking of articles, based on the number of responses in social networks. Study the publications to understand how they attract visitors. The analysis is free. If you want to transfer the data to Excel, and set up filters and notifications, you will need the Pro-version, starting from $99 a month. 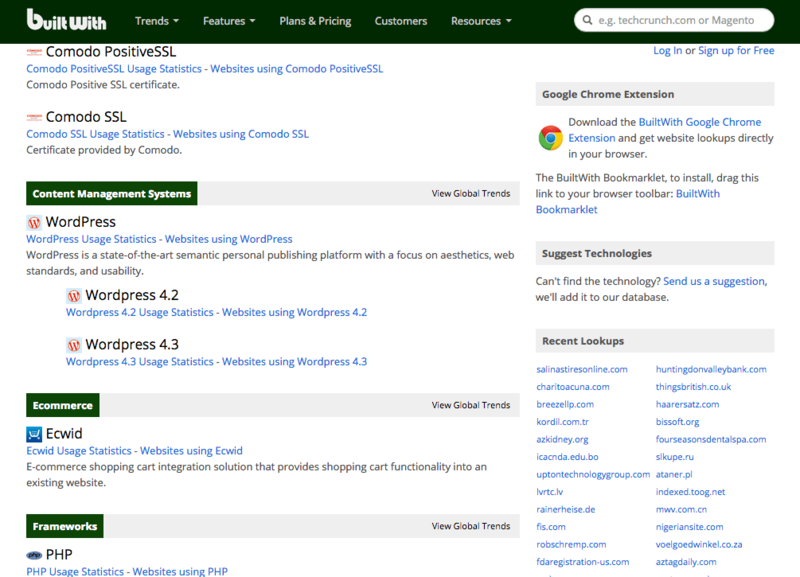 This is another useful service for the analysis of your competitors’ sites, but also to test your own site. They send reports about download speed and downtime, which allows you to immediately restore your website in case of trouble. Whenever a competitive website is down, add new ads and launch attractive action to intercept customers. As with the other services, superficial analysis does not cost anything, but the packages at $3.25 per month provide more opportunities. Collecting data about competitors is tiring, but remember the saying: The person who owns information, owns the world. Now you have everything to succeed and no excuses for failure. Good luck!